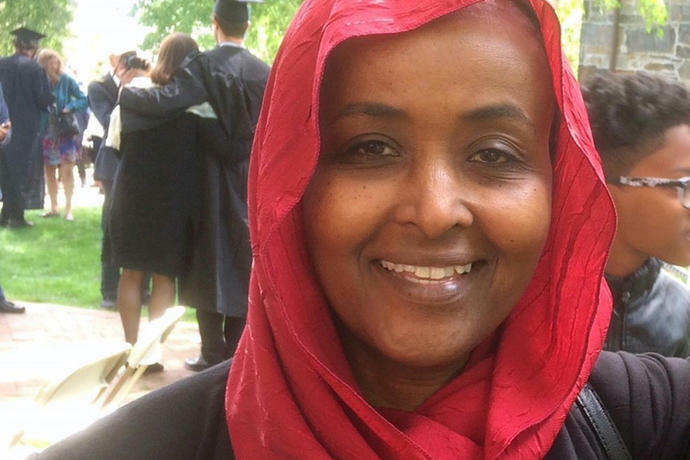 BOSTON (AP) - When Sudanese immigrant Hiwaida Elarabi learned the U.S. government was ending the temporary protected status that allowed her to live and work in the country legally for two decades, she sold off the restaurant that had been her life's dream. "This is a good day," Elarabi said Thursday. She now works for a university in Massachusetts after obtaining her master's degree in bioinformatics. "I was stressed I might also lose my position at the university as well as my legal status in this country." 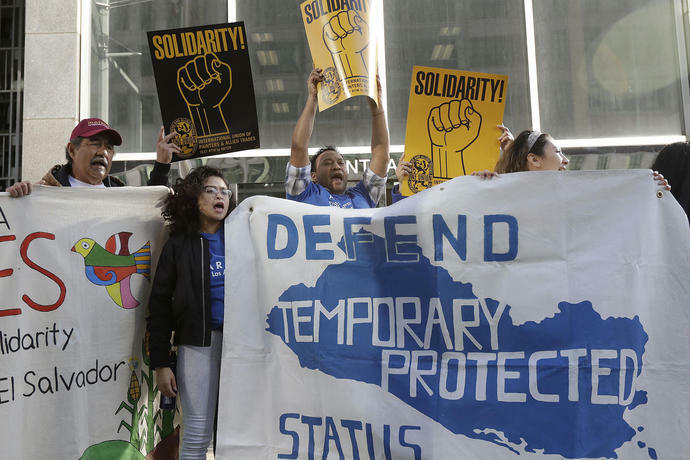 Elarabi is one of some 300,000 immigrants from Sudan, El Salvador, Haiti and Nicaragua who for now will keep their temporary protected status, known as TPS, under the ruling. It's granted to citizens of countries ravaged by natural disasters or war and lets them live and work in the U.S. until the situation improves back home. U.S. District Judge Edward Chen in San Francisco granted a request late Wednesday to block the administration's plans. He found there is evidence that "President Trump harbors an animus against non-white, non-European aliens which influenced his ... decision to end the TPS designation." The ruling cited Trump's 2015 campaign speech in which he characterized Mexican immigrants as drug dealers and rapists, his call to bar Muslims from entering the United States and his vulgar reference to African countries during a meeting about immigration at the White House in January. It is the latest in a series of court decisions that have slowed the Trump administration's effort to crack down on immigration. Federal courts also pushed back against the administration's travel ban on several mostly Muslim countries and the separation of immigrant parents and children at the U.S.-Mexico border. Justice Department spokesman Devin O'Malley said the ruling "usurps the role of the executive branch." "The Justice Department completely rejects the notion that the White House or the Department of Homeland Security did anything improper," he said in a statement. It wasn't immediately clear what the process would be to extend immigrants' temporary status. The issue is expected to be addressed in court later this month. 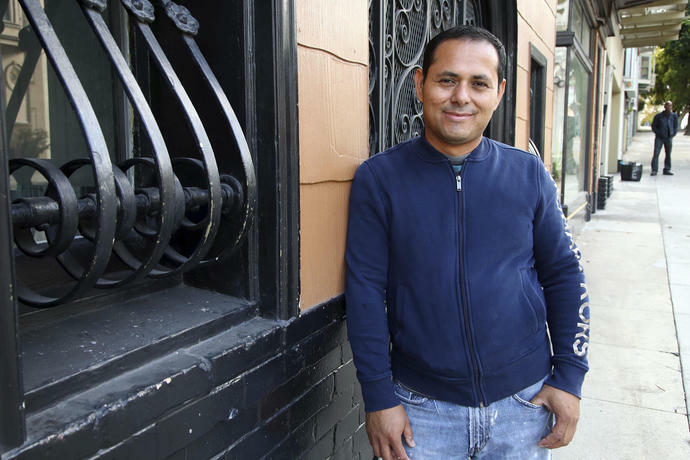 Fredy Ochoa, a 42-year-old Salvadoran in San Francisco, said he can't imagine returning to the country he left more than two decades ago as a teenager after a devastating civil war. He said he works in construction, has two U.S.-born children and doesn't understand the government's concern with the program because he and others pay taxes and pass background checks to qualify. "This is going to give us hope to continue in the fight for something better," Ochoa said of the ruling. "It is a huge relief." For now, he's focused on pushing U.S. lawmakers to pass a law allowing immigrants with temporary status to become legal permanent residents. He said the ruling fuels him and others to keep fighting. "It's a light in the dark tunnel we're walking in now," he said. Marleine Bastien, executive director of Family Action Network Movement, told reporters in Miami that she expects the federal government to appeal the ruling. She also noted that the decision, while "of great importance," is only temporary. "I knew something was going to happen," Ponthieux said. "I believed in God."